We had an orange wall in our livingroom because I wanted it to match our big Peter Lik photograph, only just seen to the right in the top photo. We also had pillows and blankets in matching orange. 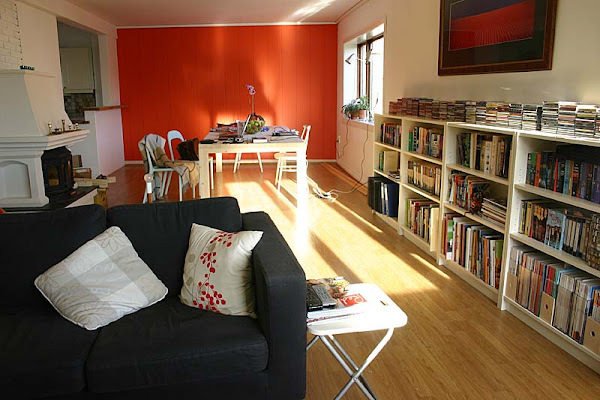 I liked how the orange color gave a lovely warmth to our livingroom. And I liked how the color changed according to light. 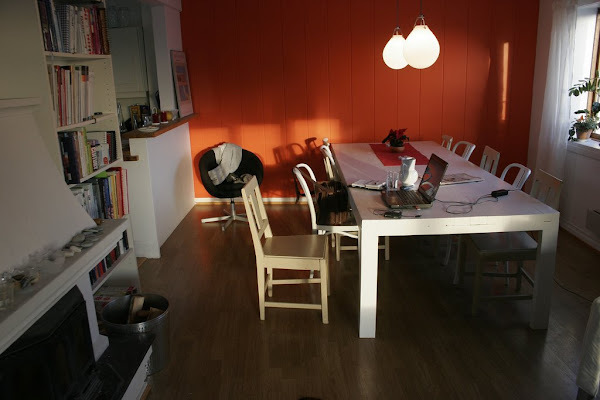 But then I got tired of everything matching, and one Sunday in August 2008 - while hungover - I painted the orange wall white. In memory of the orange wall I made a new set of photos on Flickr. PS: I have been asked before where the lamps above the dining table are from. 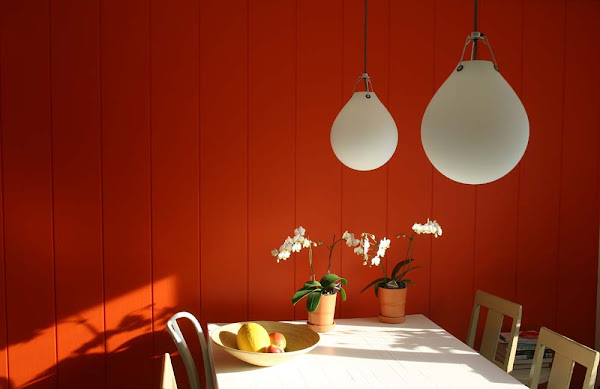 They are called Moser, made by Danish manufacturer Louis Poulsen. i never tire of seeing your home. it's so warm and inviting... orange or white. Hei guys! 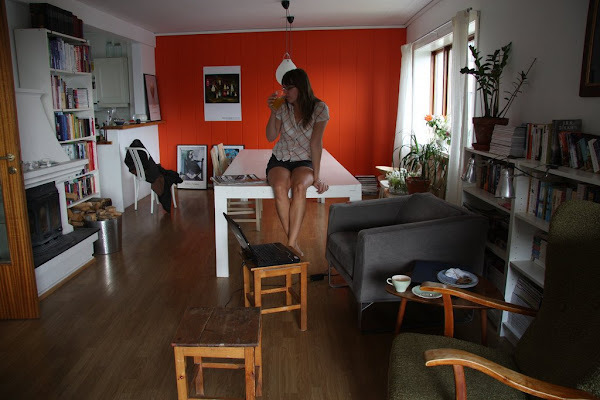 I loved the orange wall for a long time, and sometimes I miss it. 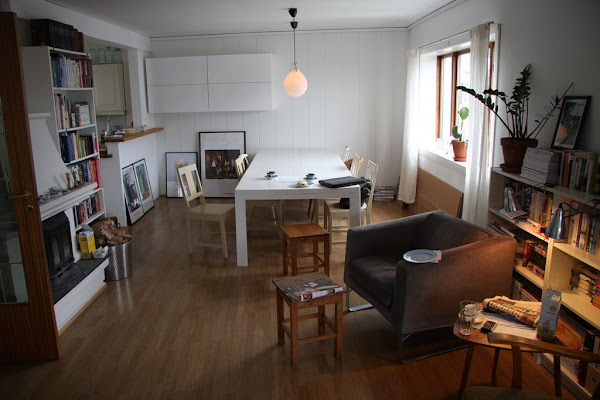 But the livingroom feels so much brighter with the white wall. Btw, we plan to hang pictures next to the cupboards. Ha en knakanes go´ helg!